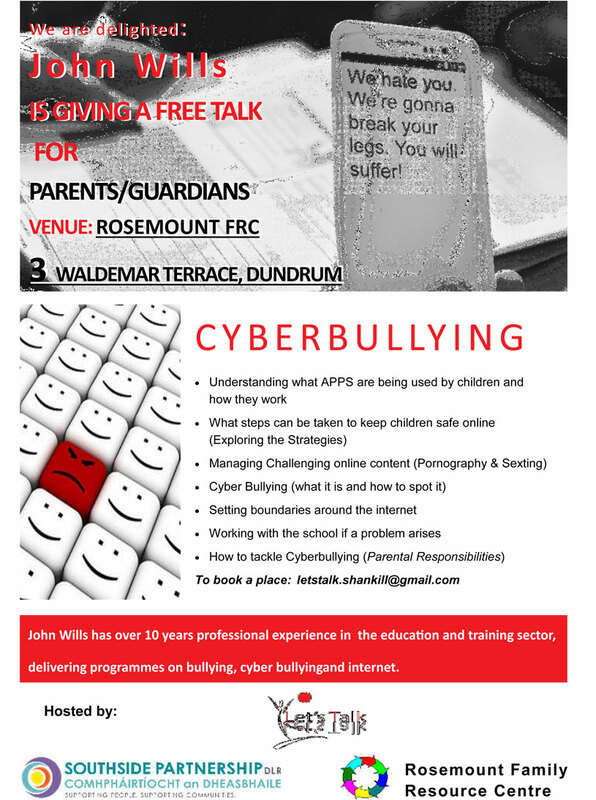 We had a great turn out on Tuesday night in Scoil Mhuire for our Cyberbullying talk by John Wills. Following on from that we are running another session in Rosemount Family Resource Centre, very close to the old Dundrum Shopping Centre next Tuesday the 14th March. This is a FREE event and all are welcome. If you are going to attend could you please send an email just to confirm as we need to have an idea of numbers, but it’s not essential walk-ins are just as welcome. Highly recommended for getting Internet Control back for parents. This entry was posted in Internet safety and tagged Cyberbullying. Bookmark the permalink.